Matthew Thompson, Park of Cottage Grove. Thompson recorded his first hat trick of the season in a 5-4 win over East Ridge on Jan. 17. The junior forward scored a power-play goal to start the offense in the first period, and he scored again to start the third. Thompson then closed out the contest with a game-winning goal, with eight seconds to play in the third. Jackson Arpin, Lake of the Woods. 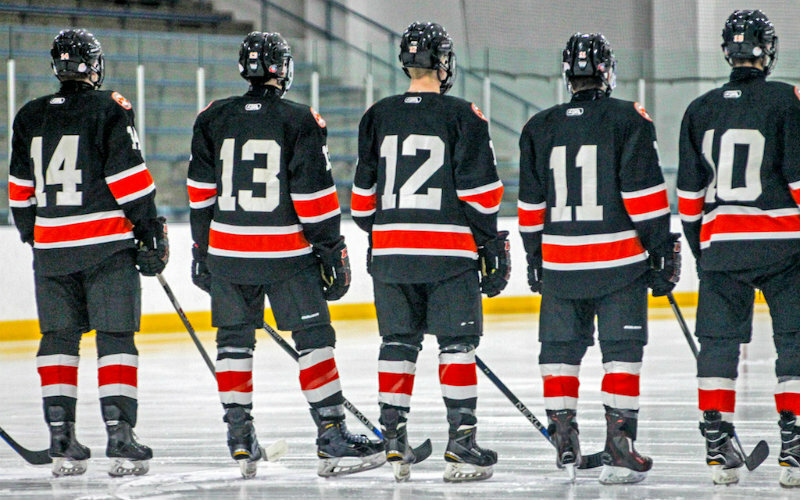 The senior forward extended his scoring streak to 10 games in a 5-4 overtime win over Red Lake Falls on Jan. 15 — scoring back-to-back goals in the second period. Then, with his team trailing by a goal in the third, Arpin assisted on the tying power-play goal before assisting on the power-play game-winner in overtime. Payton Budisalovich, Duluth Denfeld. The senior forward contributed his second three-point performance of the season in a 3-2 win over International Falls on Jan. 19. With the Hunters trailing by two goals after two periods, Budisalovich tallied a goal and an assist on power plays before adding the game-winning goal with less than five minutes remaining in the third. Shane Donovan, Northern Lakes. The junior forward tallied a season-high five points in the Lightning's 7-3 win over Park Rapids on Jan. 17. He scored four goals — his first on a power play — and added an assist. Zachary Giesler, Providence Academy. Giesler produced his third five-point effort of the season at an imperative time, leading the Lions to an 8-6 come-from-behind win over Hopkins on Jan. 15. With the Lions trailing 6-1 after two periods, the senior forward scored four goals — including one on the power play and one on a penalty kill — and added an assist to lead the comeback. Giesler ranks seventh in the state in goals (25) and is tied for sixth in points (46). Jon Howe, Totino-Grace. The senior goaltender recorded his fourth consecutive win on Jan. 17, as he gave up two goals — one came on a penalty kill — on 45 shots in the Eagles' 3-2 win over Robbinsdale Armstrong/Cooper. Howe ranks eighth in the state with a .931 save percentage. Oliver Lee, Roseau. Lee backed the Rams' 3-2 overtime win against No. 4-1A East Grand Forks on Jan. 15 — recording his ninth consecutive win. The senior goaltender gave up two goals on 38 shots for a .947 save percentage. Lee ranks fifth in the state in goals against average (1.43) and sixth in save percentage (.935). Garrett Sawyer, Northfield. The senior forward recorded his second multi-goal game of the season — scoring all four goals in the Raiders' 4-2 win over St. Paul Academy on Jan. 15. Nate Schweitzer, Benilde-St. Margaret's. Schweitzer tallied a season-high four assists with a plus/minus of 3 in a 6-3 win over No. 10-2A Chaska on Jan. 19. The junior defenseman leads the Red Knights with 17 assists on the season. Declan Young, Fergus Falls. The senior forward helped the Otters break a three-game losing streak by recording his second consecutive four-point game — scoring three times, including once short-handed, and adding an assist in a 7-3 win over Prairie Centre on Jan. 15. *Stats and records as of Jan. 20.